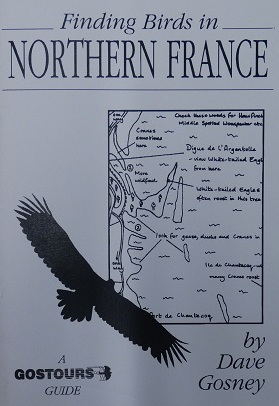 This book provides an introduction to the wonderful birding to be had in Northern France within a days drive of Calais. There are lots of exciting species to look out for: White-tailed Eagle, Black and Grey-headed Woodpeckers, Little Bittern, Collared Flycatcher, Citril Finch, Tengmalm's Owl, Short-toed Eagle, Bee-eater, Bonelli's Warbler, Bluethroat, Whiskered Tern and Little Bustard to name but a few. This book aims to highlight the best sites where many of these wonderful species and many more can be found. This book features the following sites: Lac du der Chantecoq, Lac de la Foret d'Orient, The Vendee Coast, Noirmoutier, La Brenne (incl. Lac de Cherine), Fontainebleau, Les Vosges, Lorraine National Park (incl. Etang de Lindre, Guermange, Lac de Madine, & Foret de la Reine), Petit Noir, Les Dombes and Ouessant.